Comcast activated nearly 3,800 Wi-Fi hotspots in and around Washington, D.C.. Connectivity is available at no additional charge to Comcast's Xfinity Internet residential customers. Comcast said its Wi-Fi strategy currently includes two approaches: the first is the inclusion of tens of thousands of Xfinity WiFi hotspots in the CableWiFi Alliance, which enables Xfinity Internet customers access to more than 150,000 indoor and outdoor WiFi hotspots in more than a dozen major cities across the country. Other member of the Cable Wi-Fi Alliance include Bright House Networks, Cox Communications, Cablevision Optimum and Time Warner Cable. The second is the launch of a new home-based, neighborhood hotspot initiative, a plan to create a network of millions of additional Xfinity WiFi access points for Xfinity Internet customers. 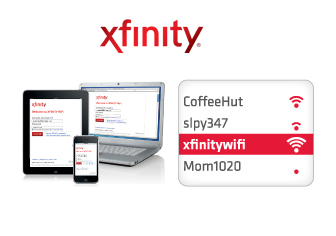 Specifically, Comcast will enable an additional “xfinitywifi” signal (or SSID) in customer homes that is completely separate and distinct from the family’s private and secure home Wi-Fi signal. This will enable friends, relatives, visitors and other Xfinity Internet customers to gain Wi-Fi access to the Comcast network. "Our customers continue to look for ways to communicate and access their entertainment with wireless devices, including the tens of thousands of TV shows and movies available on Xfinity TV platforms," said Alan Clairmont, Regional Vice President of Sales and Marketing for Comcast. "Xfinity WiFi gives our customers free access to thousands of hotspots where they can stay connected and surf online anywhere and at anytime." tw telecom is previewing its upcoming "Constellation Platform", which promises dedicated Ethernet access to a virtual private cloud. The company said its goal is to enable enterprise customers to "click and connect," building new network service connections on demand to data centers and cloud applications providers across the country. tw telecom will be partnering with leading data center provider CoreSite to demonstrate a prototype version at the upcoming Cloud Expo 2013 in New York City. The companies said their demonstration will create a new network connection to extend through the data center and into the database application service provider on-demand, in real time. "Imagine having a dedicated, secure, predictable and scalable Ethernet network for your enterprise's cloud needs. Then imagine having that network available at the click of a button, building the service connection in real time, on-demand," said John Blount, Chief Operating Officer, tw telecom. "No more writing service orders, waiting 45 or 120 days or longer for a dedicated network connection. Our future Constellation Platformsm will enable enterprise customers to establish new Business Ethernet service connections, with as much bandwidth as they need, to any data center or cloud provider we are connected to, in real time." XO Communications is launching three new cloud services that leverage its Tier III data centers and its nationwide network: XO Enterprise Cloud, XO Cloud Drive, and XO Cloud Vault. XO Enterprise Cloud -- provides enterprise-grade cloud computing services delivered over a private and secure network environment. Multiple network connectivity options are offered to access the Enterprise Cloud. The service offers multiple computing resource allocation options, such as Shared, Reserved and Dedicated. The XO Enterprise Cloud architecture is designed to provide higher levels of performance and isolation for customers with mission-critical and unique security requirements. XO Enterprise Cloud server and storage infrastructure is built using best-in-class products from HP, VMware, and EMC and offers three tiers of high performance storage, including Solid State Drives. XO is also using networked Fortinet security appliances. The XO Enterprise Cloud platform is deployed in Tier III data centers located in Northern Virginia and Southern California with SSAE 16 Type 2 compliance. The service can support 1 Gbps dedicated bandwidth per virtual machine, as well as scale-up capabilities that can reach 32 vCPUs and 512 GB RAM per server. XO Cloud Drive -- store, share, synchronize and collaborate on business content and files in the cloud. The cloud-based platform provides uniform access to files across the following platforms, including iOS, Android, Mobile Web, Windows, Mac and Linux. XO Cloud Vault -- automates and simplifies backup services for businesses with multiple locations or complex, distributed IT environments. Customers can replicate data from the XO Enterprise Cloud platform as well as from premise-based servers and desktops. An intelligent backup design provides compression, encryption and copy of only those documents, emails and databases that have changed since the most recent backup across the following platforms: Windows, Linux, Mac, Solaris and FreeBSD. "IT organizations are continually pressured to support an increasing number of mission-critical applications with fewer resources, causing businesses to seek out virtual solutions as a way to effectively and efficiently expand core operations without spending unnecessary capital," said Jake Heinz, vice president of marketing at XO Communications. "In response to this industry need, XO Communications has expanded our services for dedicated cloud resources. This deeper commitment to the Infrastructure-as-a-Service market puts XO Communications in the best position to serve mid- and large-sized businesses for their computing, data and network requirements." 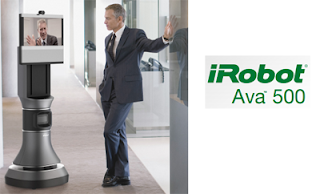 iRobot Corp. and Cisco introduced an enterprise-grade video collaboration robot. The Ava 500 robot combines iRobot’s autonomous navigation with Cisco’s TelePresence to enable people working off-site to participate in meetings and presentations where movement and location spontaneity are important. The remote user schedules and controls Ava 500 using an iPad interface, selecting his or her destination by tapping a location on a map or by choosing a room or employee name. An available robot is then activated to “take” the user where they want to go. The user can choose whether to make the trip from the charging station to selected location in either “private” mode—where the screen appears blank—or in “public” mode—where the user’s face is displayed. If public mode is chosen, the user can see and be seen, and even stop to have an ad-hoc hallway conversation with a colleague. When the session is complete, the Ava 500 automatically returns to its charging station. "iRobot is excited to work with Cisco to bring this next generation of telepresence to businesses worldwide," said Youssef Saleh, vice president and general manager of iRobot’s Remote Presence business unit. "iRobot has been successful in introducing autonomous remote presence platforms to hospitals. Ava 500 will unlock new markets and applications for telepresence in the workplace." Commercial availability is expected in early calendar year 2014. Deutsche Telekom is launching a cloud-based video solution for over-the-top (OTT) content via fixed and mobile broadband networks. "LiveStream Perform," which is powered by Octoshape, promises broadcast TV reliability delivered through best-effort broadband networks. 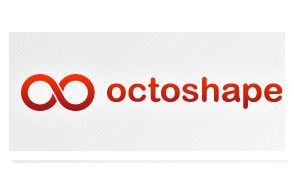 Octoshape’s streaming technology employs throughput optimization methods that enable TV-like playback quality. In addition, the suite of multicast technologies enables scale and efficiency for operators and provides predictable business models for broadcasters. Mobile Broadband Network Limited (MBNL), the joint venture company owned by Three UK and EE, awarded a 5-year contract to Ericsson to manage operations and maintenance of its radio access network in the UK. 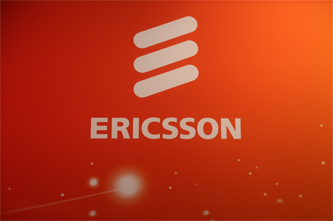 Specifically, Ericsson will provide a fully managed end to end operations service that includes the network operations centre, network performance and optimisation, field support and maintenance, as well as multivendor spare parts management service for its 2G and 3G networks and EE and Three UK deployments of 4G technology. "Since the formation of MBNL in 2007 we have achieved a great deal by consolidating a complex network infrastructure to deliver the best network at lowest cost. Ericsson will deliver a further enhancement to the service levels we achieve, and drive continuous service improvement and innovation to further extend our lead in positive customer experience," stated Graham Payne, Managing Director, MBNL. Ericsson noted that has signed more than 300 managed services contracts in more than 100 countries covering over 1 billion subscribers.